Crisp executives expect the new tech platform will streamline operations and improve patient care. Crisp Regional Health picked healthcare IT tech giant Cerner for a cloud-based integrated EHR and revenue cycle management system for its acute, ambulatory and post-acute care facilities. This is just one of several contracts Cerner has closed recently, a boon for the EHR giant in Indiana, Missouri and Maine. The company has taken a hit as it waits for Veterans Affairs to decide on May 28 whether or not to go forward with a Cerner to replace its VistA EHR. On the EHR front, Cerner has double the EHR global market share of closest rival Epic, according to Kalorama. Crisp Regional executives expect the new tech platform will streamline operations and improve patient care. “Cerner provides us with one integrated health record across all venues of care, supporting our goal of clinical and financial optimization throughout our system,” Jessica Carter, vice president and chief financial officer at Crisp Regional, said in a statement. "We are committed to providing the highest quality of care possible to Crisp County and surrounding communities," added Lynn Lyons, chief of staff-elect at the hospital. The hospital is employing measurable goals of increased physician visibility and strong patient outcomes. 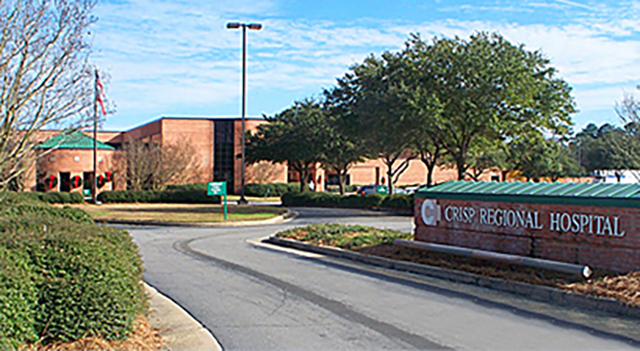 Crisp Regional will transition to Cerner Millennium. Through the new online patient portal, patients and their families will be able to securely message doctors, schedule appointments, view and settle balances, and access their health history. Cerner’s Revenue Cycle Management System provides Crisp Regional clinicians a view of clinical and financial data in one patient record. Also, executives expect the hospital will benefit from the documentation that can improve reimbursement and limit claims errors. With Cerner CommunityWorks cloud technology the hospital will have help with managing, operating and upgrading the EHR. It also will have access to its application management services, meaningful use and regulatory services and evidence-based recommended workflows and content. Crisp Regional’s network of health and social service facilities includes a home health program, two nursing homes totaling 243 beds, a retirement home, a hospice and home care program, a dialysis facility, and rural health clinics in bordering areas.